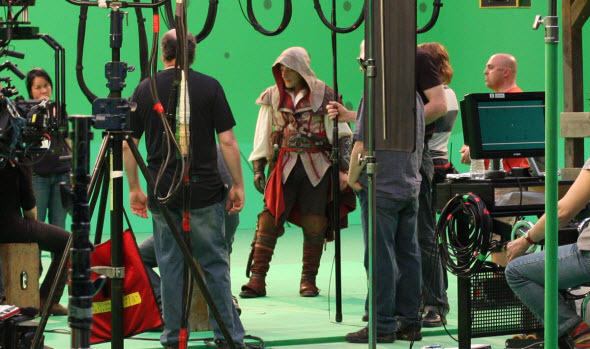 Although Assassin's Creed movie will be released in the middle of next year, there aren’t lots of news about it, its shooting or some other interesting moments. But today, finally, we are ready to share with you the latest information about this film. Thus, yesterday it became known that Assassin's Creed movie script would be rewritten and it would be done by Adam Cooper and Bill Collage. You may have heard about them thanks to such projects as Tower Heist (2011), Accepted (2006) and New York Minute (2004), where they were the scenarists. In addition to these films, this year another project - Exodus: Gods and Kings, - on which Cooper and Collage worked together will hit the cinemas. As for the fact that Assassin's Creed movie script will be rewritten you, dear readers, don’t have to worry about, because it’s a fairly common practice in the motion picture industry and it means that the project is currently under the work and all its details will be polished. Let us remind you that earlier such screnarists as Lessli Michael and Scott Frank were involved in the script’s creation. The reasons for their removal from the work under the project nor New Regency, neither 20th Century Fox was disclosed. Are you waiting for Assassin's Creed movie? Would you like to watch the adaptation about the famous assassins? Your answers can be left in the relevant section at the bottom of the page.